This new responsive website was designed and developed for DeSumma & Wexler as their main marketing platform for an expansion of their business. DeSumma & Wexler was expanding into buying pre-owned jewelry but wanted a way to promote this online that wasn't directly affiliated with the main site, as they felt consumers might think the jewelry they sell is lower quality. The goal was to create a new online presence that would promote DeSumma & Wexler's pre-owned jewelry appraisal and purchasing and point to their main website without being able to navigate from the main site content to the new online presence. A form would be included to facilitate initial appraisals. DDA built a totally new responsive website for DeSumma & Wexler with a crisp look emphasizing large images and easy-to-navigate content pages framed on a set of jewelry sellers' frequently asked questions. The form was heavily promoted site wide to generate new leads for potential diamond and jewelry sellers and allowed for image uploads in addition to information capture. 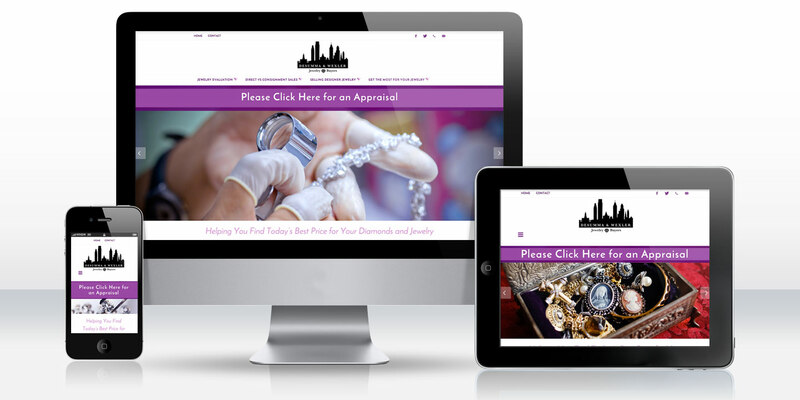 The final website went above and beyond expectations and serves as a strong catalyst for the promotion of a new aspect to the jeweler's business.